There's a superstition that if you say "white rabbit" (or just simply "rabbit") three times the first thing when you wake up on the 1st of a new month*, you'll have good luck for the rest of the month. It's a bit the same as saying "A pinch and a punch for the first of the month", except with less pinching and punching of your friends involved. I faithfully recite my white rabbits every morning on the 1st of each month, being somewhat superstitious myself and wanting my months to get off to a good start. Seeing as autumn tends to be a bit of a gloomy time for me with it's endless grey rains, dropping temperatures and shortening days, it's nice to think that I have a bit of luck tucked away should I need it. 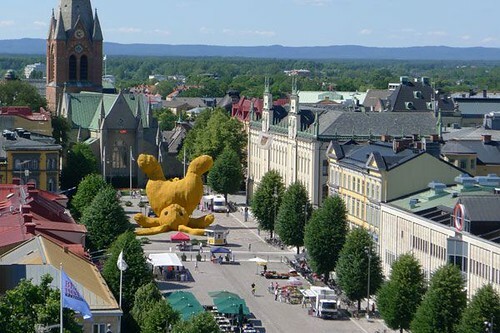 Speaking of rabbits, if you happen to be in Örebro, in Sweden right now, you can go see a very big yellow rabbit that's seemingly been dropped by a giant child in what I suppose is the town square. 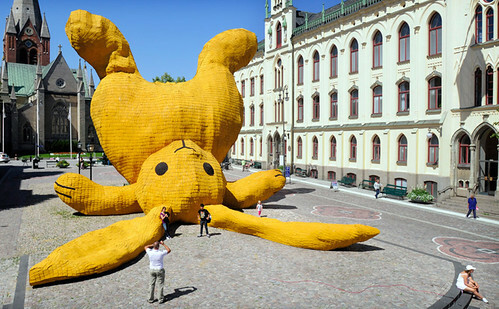 The enormous bunny is the work of giant crafter Florentijn Hofman (that is, his work is giant in scale, I'm sure he himself is normal human sized) and it's made from concrete, wood and metal. The "Stor Gul Kanin", as it's called in Swedish, reminds me of the giant (and I'm not even sure "giant" is a big enough word to describe the sheer scale of it! 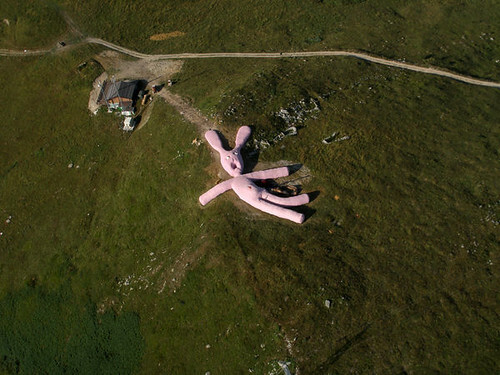 ), pink, knitted rabbit tossed on to an Italian hillside in Artesina. 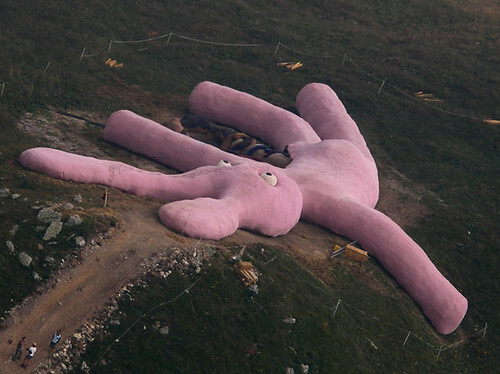 The piece, "Rabbit" is the work of an artist collective by the name of Gelitin, and it will be laying on it's hilltop until 2025 for people to climb on, explore and even sleep on. It is so very giant that it can even be seen from space! All these gargantuan rabbits make me want to try making a giant Rag Pet, although I doubt the scale I'd work in would be quite this huge! *I was originally going to post this yesterday, but seeing as I went to the Japanese ambassador's residence for a tea gathering (it was a truly amazing evening that I shan't forget in a hurry! ), I didn't quite have the time to do so. So, here we are now, a day late.